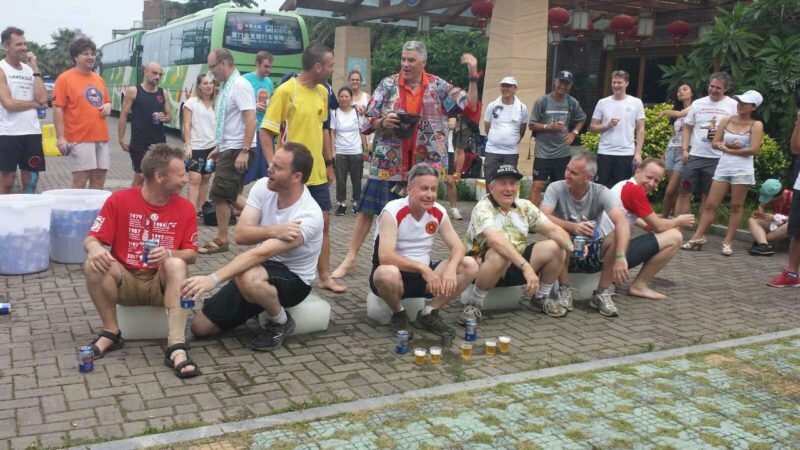 All you need to know about the ACNH, the biggest hash event in China. Here you will find information about the upcoming ACNH, biddigns for future ACNH, history of ACNH, Rusty Man, and much more! 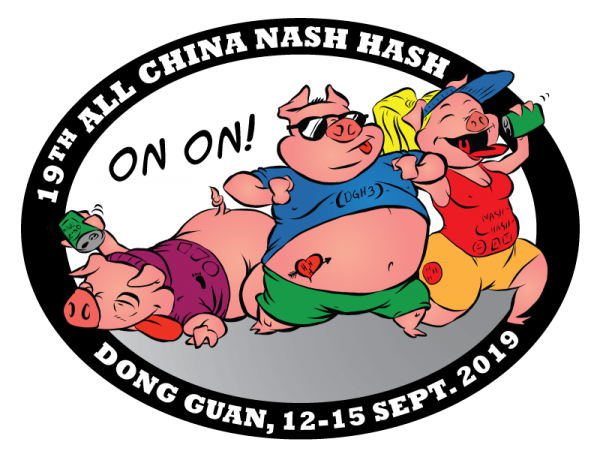 From 12 to 15 of September 2019, all China hashers meet for the 19th All China Nash Hash in Dongguan. 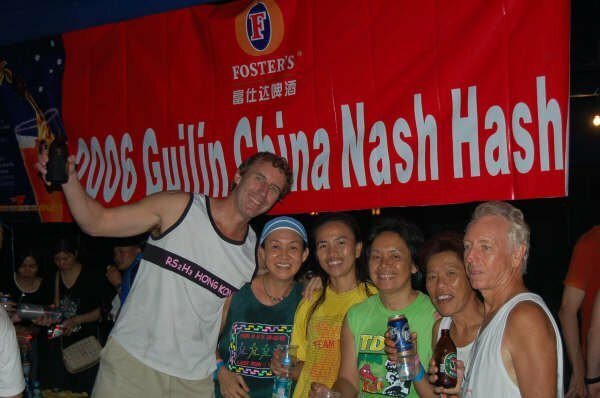 Sometime in mid to late 2001, it is fabled that after far too many Qingdao Beers and Margaritas at the famed Mexican Wave, Rick “Ratchucker” Head of the Beijing Hash suggested to develop their upcoming 1000th run to be a first Nash hash to encourage participation from others in the mainland and indeed the wider China borders. 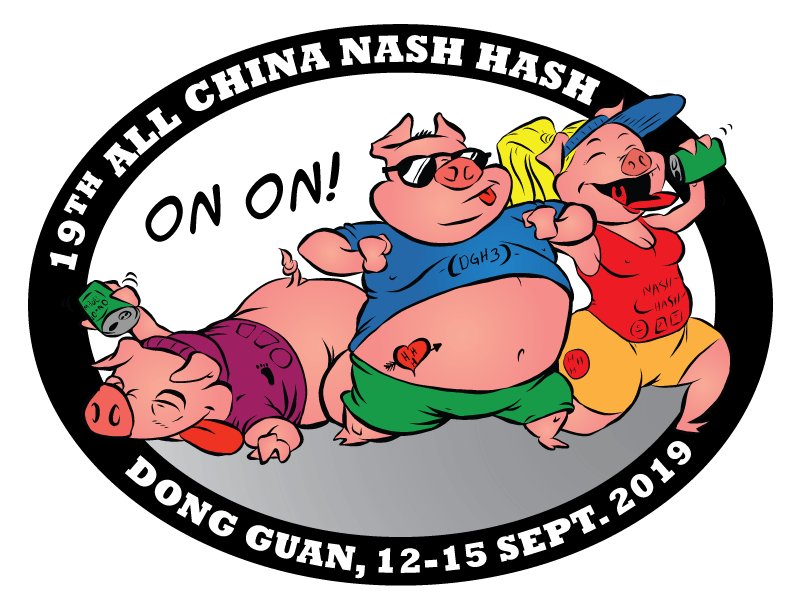 Being the other 2 most active hash chapters, an email was quickly dispatched to Doug “White Trash” Barrett in Shanghai and John “Roomboy” Malins in Chengdu. 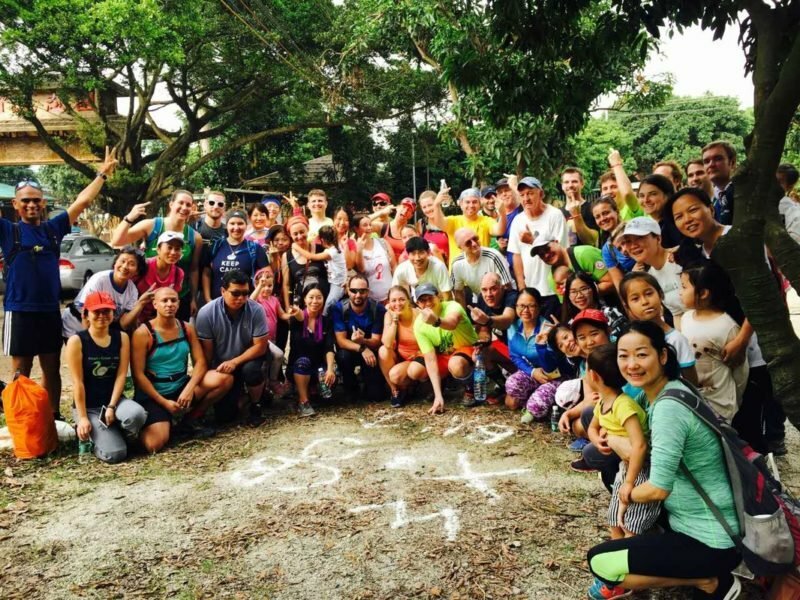 Each in turn contacted other chapters to spread the word. 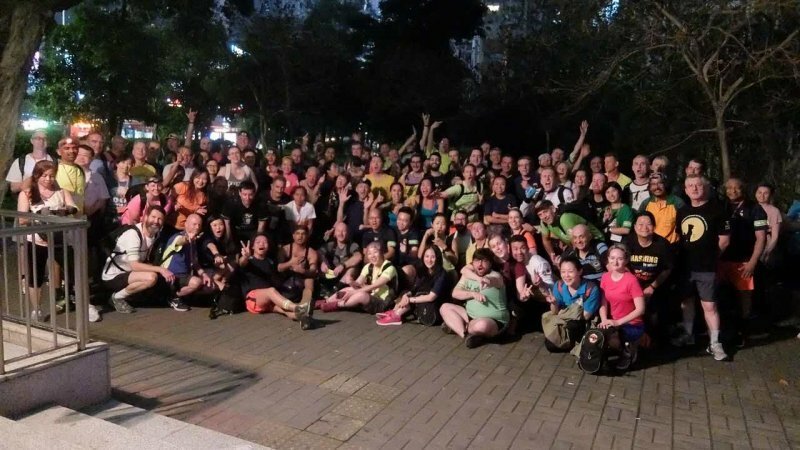 Shanghai was a logical choice for the second Nash Hash being China’s other largest conurbation with an expanding expat base, active business community, easy to get to and a thriving hash itself. 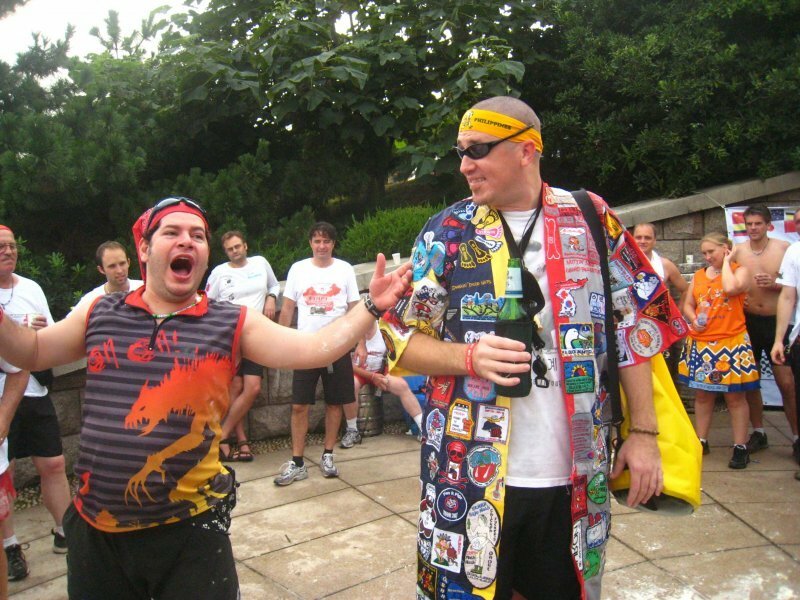 With the departure of Ratchucker the democratic process of selecting the subsequent venue was left with Roomboy and White Trash. 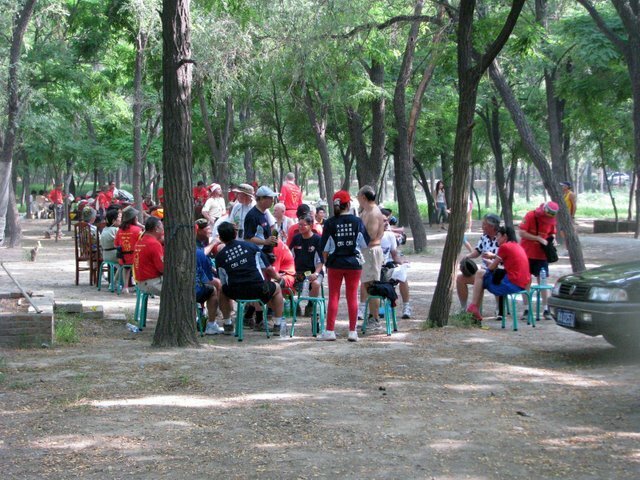 Far from being a secret ballot or the like, the author regrets to advise you that it was usually a purely arbitrary decision based on logistics, fairness, geographic spread, resources available locally, appeal of the destination, accessibility, and commitment to success from the host chapter. 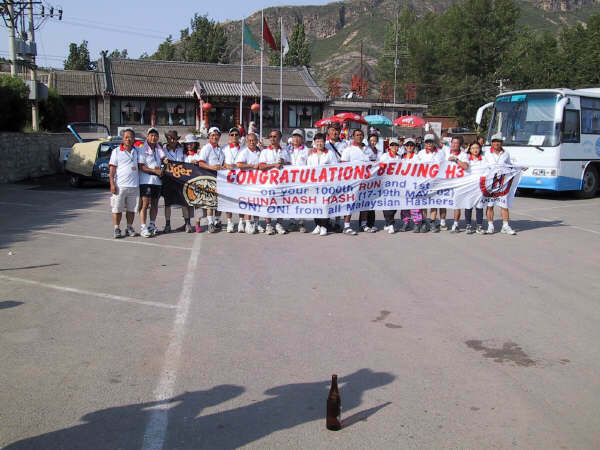 So far, as is traditional in hashing, no failures. 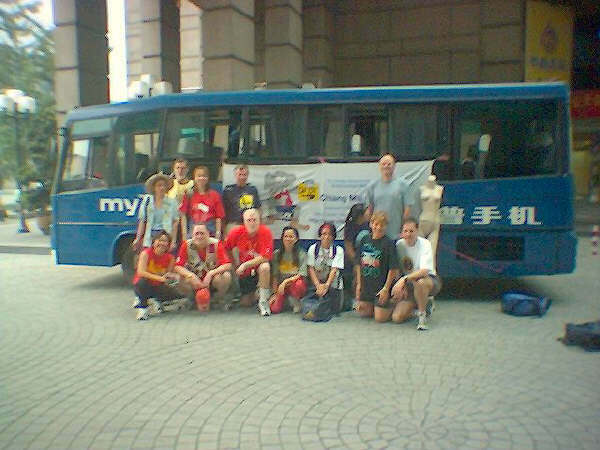 Initial focus was only on the mainland as Hong Kong and Taiwan were always considered big enough, experienced and more mature to host their own area hashes. 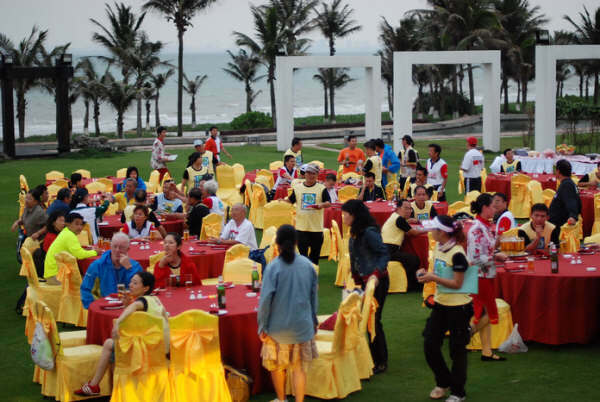 The whole affair also spawned the inception of this website to try to provide definitive info for interested parties and was a base for the info for inclusion for each world Interhash directory from Goa onwards to the present day. If you feel like your kennel should be the next ACNH host, send us a message today! 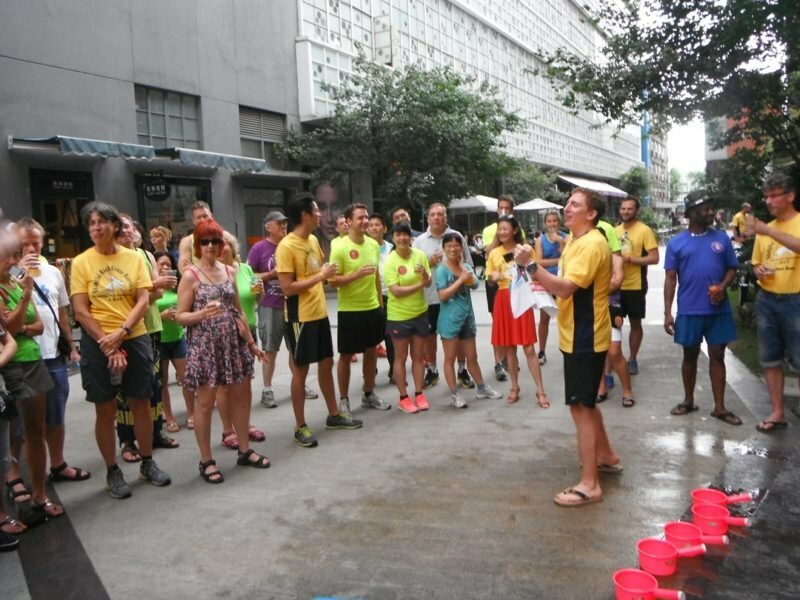 The Rusty Man Challenge is the brain child of members of the Distinguished Overseas Gentlemen of Shanghai (DOGS) Hash and Royal South Side Hash, Hong Kong. 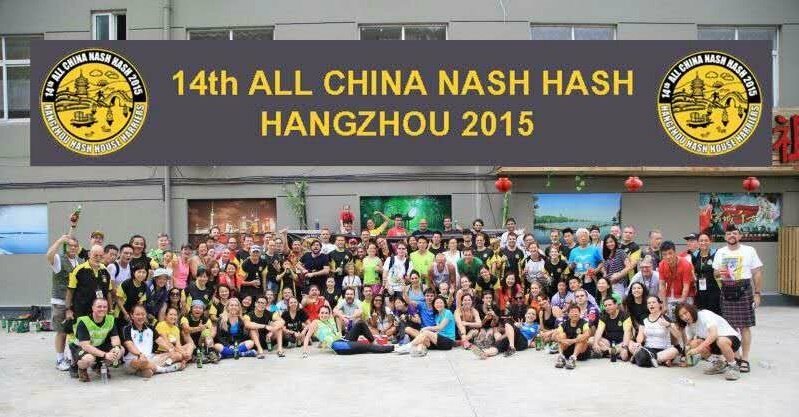 It was first run at the All China Nash Hash in Shanghai in 2013. 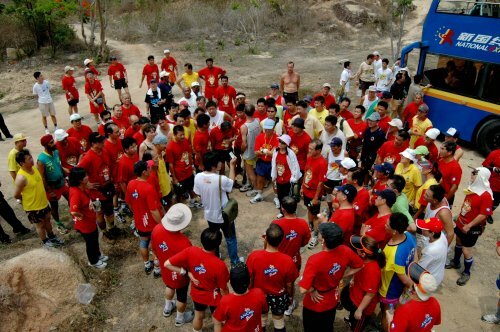 The Rusty Man is a Trihashlon of 3 events. It begins with a sit down full English breakfast with a double Bloody Mary. 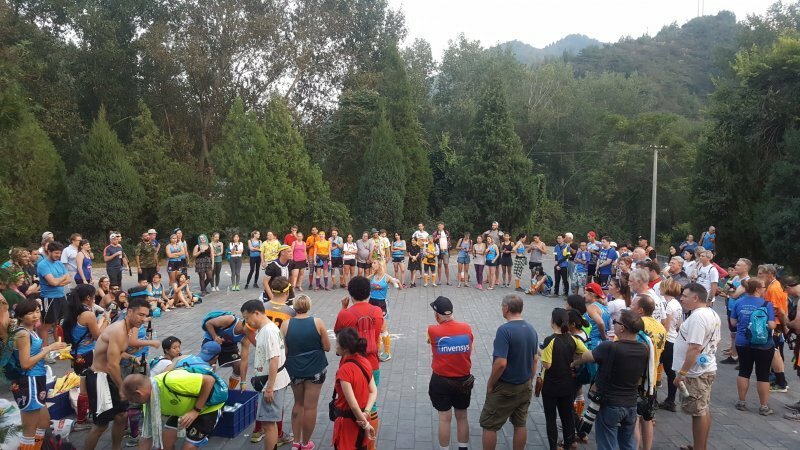 This is immediately followed by a 5km Hash with a full 500ml bottle beer DownDown at the start, at a beer stop each kilometre and at the finish. 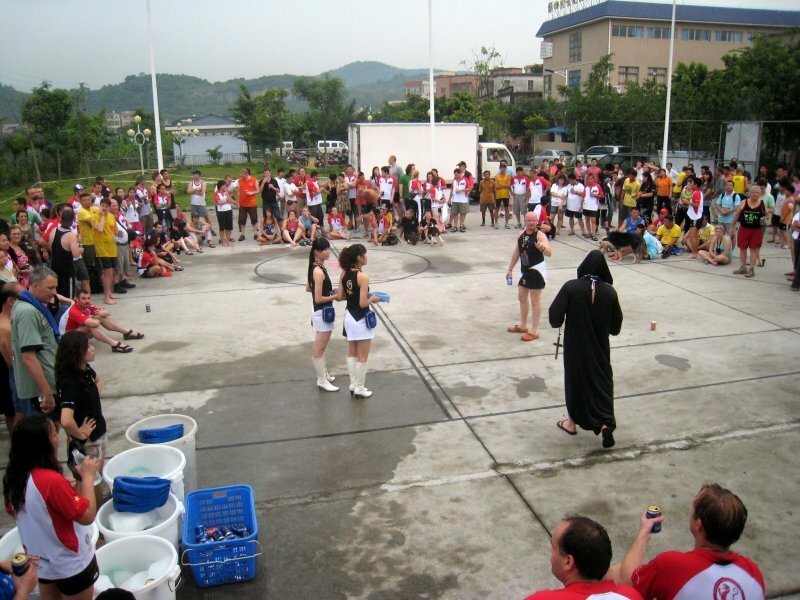 The last event is an egg & spoon race where the egg is carried in the mouth across an obstacle such as a fence, staircase, stream crossing, etc. 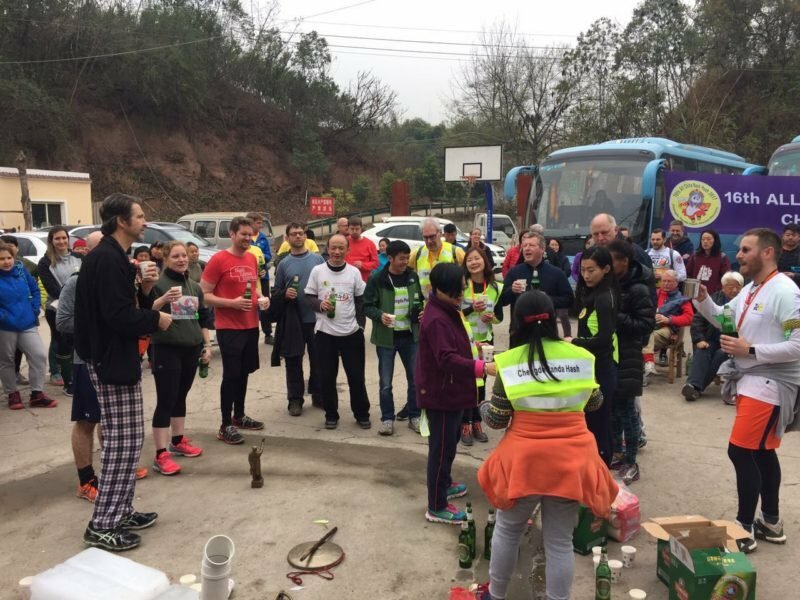 It is not for the feint hearted and is a true Hashers’ event where the drinking club has at last found a way to handle the running problem! 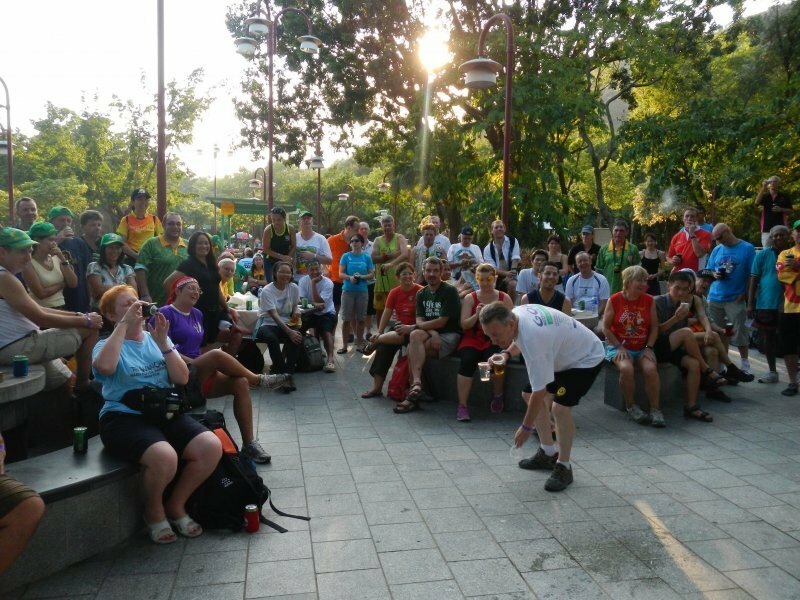 Typically the Rusty Man is an early morning hangover run on the last day of the Nash Hash. 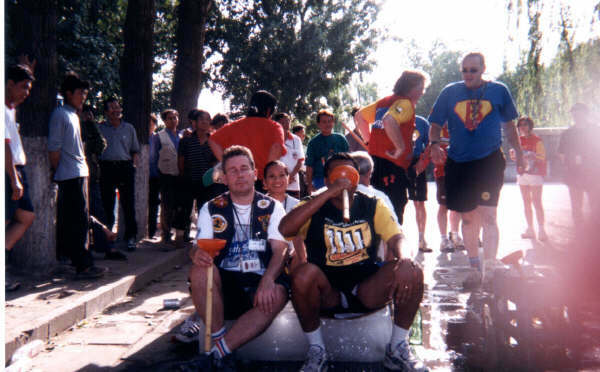 The Hares, traditionally decked out in Hash kilts, brief the runners, reminding them that, although it is not a race, the Rusty Man is a Challenge. Hence, and in the words of Sean Connery from the Highlander movie, “There can be only one” winner. 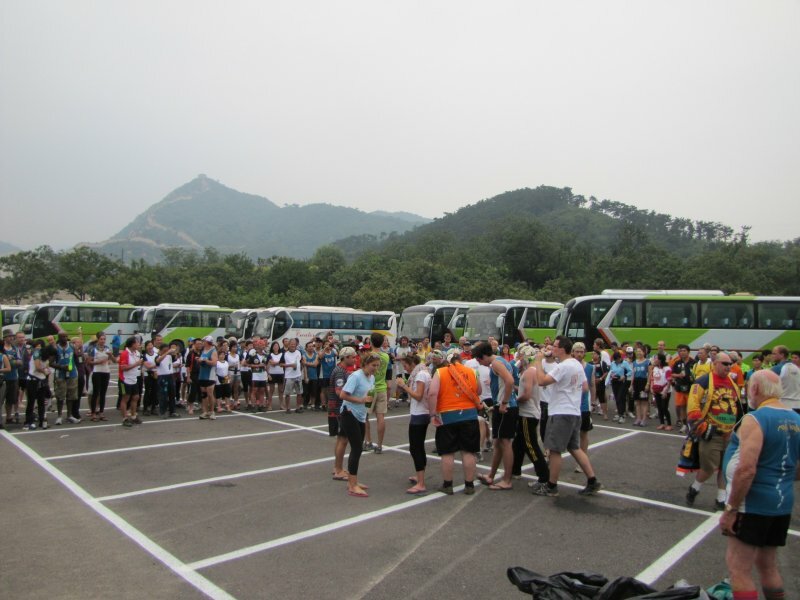 All other participants are by definition …… Losers!